As Risher tells it, two factor authentication is supposed to require "something you know" (like a passphrase) and something you have (like a dongle, or a phone, etc). 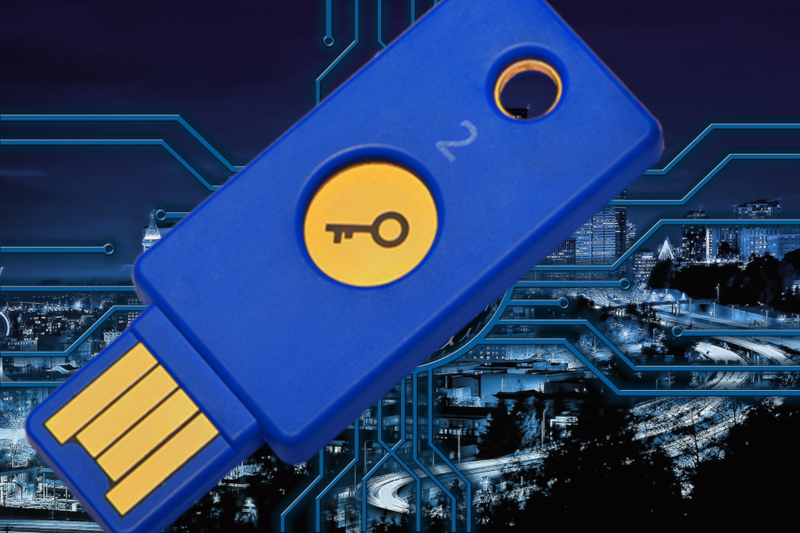 The problem is that most 2FA systems are actually about two things you know: your passphrase, and the six- or eight-digit code generated by your phone or security dongle. Wily hackers have figured out how to intercept your entry of that second factor and replay it into online authentication forms, and that's before we get into the intrinsic insecurity of SMS. Don't take this as advice to give up on traditional 2FA! This man-in-the-middle business is generally reserved for targeted attacks (where someone specifically wants to compromise your security), and traditional 2FA is still a powerful disincentive to opportunity attacks (where someone just wants to compromise anyone's security). In that case, you don't need to be faster than the bear. But for those who can use them, security keys -- which engage in a complex protocol directly with the remote server -- are game changing. As Risher puts it: "SKs basically shrink your threat model from 'anyone anywhere in the world who knows your password' to 'people in the room with you right now.' Huge!" I agree, but there's an important caveat. Security keys usually have fallback mechanisms -- some way to attach a new key to your account for when you lose or destroy your old key. These mechanisms may also rely on security keys, but chances are that they don't (and somewhere down the line, there's probably a fallback mechanism that uses SMS, or Google Authenticator, or an email confirmation loop, or a password, or an administrator who can be sweet talked by a social engineer). So while the insight that traditional 2FA is really "something you know and something else you know, albeit only very recently," security keys are "Something you know and something you have, which someone else can have, if they know something you know."